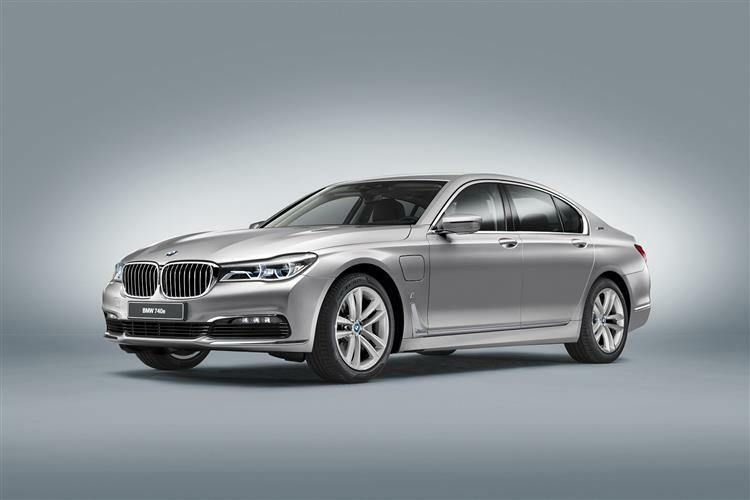 BMW has developed a plug-in hybrid version of its flagship saloon, the 7 Series, to challenge Mercedes in the full-Luxury saloon segment. Our Road Test Team see what's watt. 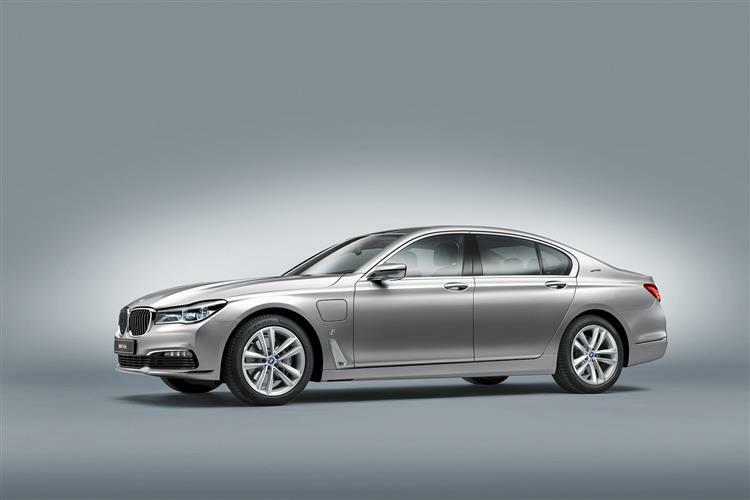 The 740e is the petrol-electric plug-in hybrid version of BMW's flagship 7 Series saloon. With 326bhp on tap, yet able to return 134.5mpg, it may prove to be the perfect choice for some boardroom-level company buyers. Retaining all the luxury of the standard car, but packed with the latest technology, the 740e falls under BMW's iPerformance banner, which brought us the i3 and i8. 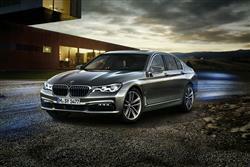 This might be the sixth generation of BMW's luxury saloon, but it's the first to get plug-in hybrid technology. For nearly 40 years, BMW has battled with Mercedes - and more recently Audi and Lexus - for the crown of the world's best luxury car, but has never quite topped the tree. Can it do so when it comes to hybrid technology in the full-Luxury segment? We've had petrol/electric engines in cars of this kind since Lexus launched an LS hybrid back in 2007. 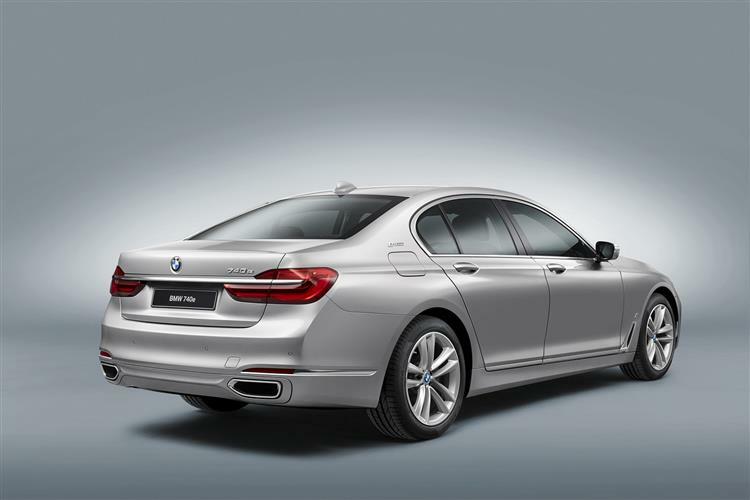 The competition took time to respond, but BMW were the first to react, launching an Active Hybrid 7 Series model in 2012. A year later, Audi launched a hybrid version of its A8 model too. The concept of plugging in your luxury car to increase its range took things on a stage further and started arguably with the Tesla Model S that was launched here in 2014, but that was a full-electric car. The first plug-in hybrid was the Mercedes S500 model announced in the same year and it's this technology that the 740e claims to have perfected. 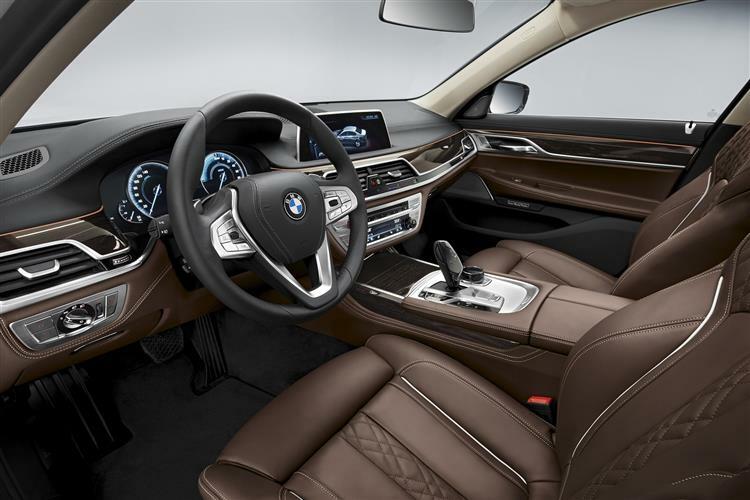 The 7 Series is a large luxury car, so it may surprise you to hear that under its long bonnet here is a petrol engine of just 2.0-litres in size. Luckily it gets twin turbochargers, which help boost its output to 322bhp. Crucially though, there's also an electric motor, which produces an additional 94bhp, meaning in total the hybrid system develops are more-than-healthy 326bhp. 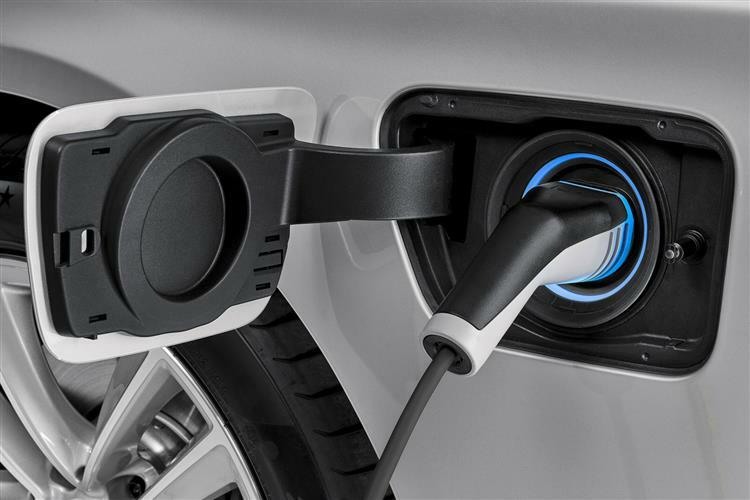 Technology from the i3 and i8 is evident in the 740e, which gets the same lithium-ion batteries, which have a capacity of 9.2kWh. There's also an energy management system that ensures a seamlessly and efficient transition between the petrol and electric motors. When braking, the car can harvest kinetic energy, which is the used to help recharge the batteries. The 740e can cover up to 29 miles under electric power alone, and at speeds up to 75mph, before the petrol engine needs to cut in. Perfect for smaller commutes or idling along in rush hour traffic. In long-wheel base form, the 740Le comes with xDrive all-wheel-drive. 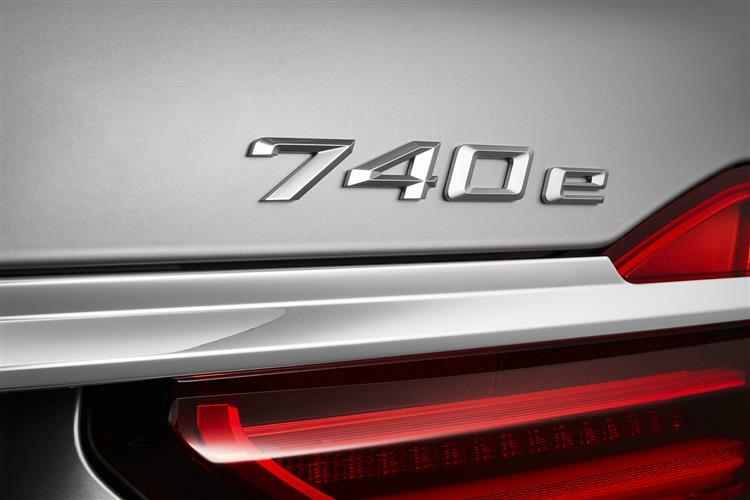 A trait of electric power is the instantaneous acceleration and the 740e is no different. 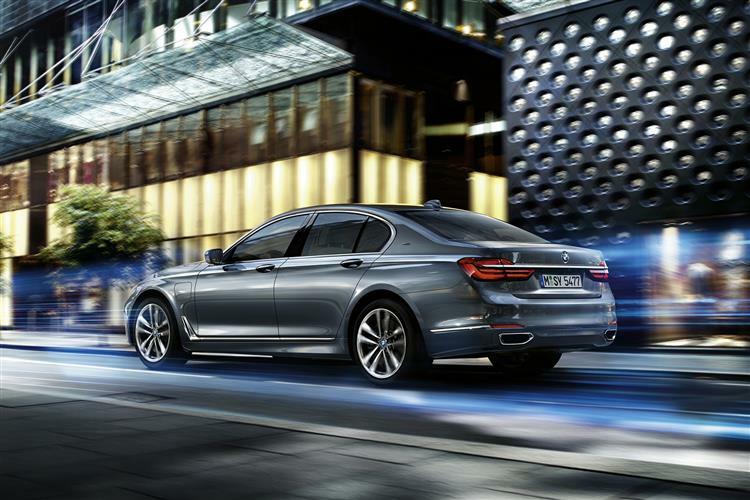 Yes the hybrid system is there to improve fuel consumption and CO2 emissions, but another upside is impressive performance, with 0-62mph being achieved in just 5.6 seconds: the 4WD 740Le xDrive takes only 0.1 second longer. iPerformance models get unique styling to set them apart from the rest of the range, which includes BMW's traditional kidney grille getting blue slats. The wheel hubs are a blue alloy and eDrive badges have been added to the c-pillars. However, the biggest clue that this is a plug-in electric vehicle is the charging flap on the passenger side front wing of the car. Inside, the 740e gets an iPerformance menu called eDrive, which can help you save fuel and monitor battery reserves. You'll also find eDrive labelling on the door sills. Otherwise, it's business as usual. So there's a luxurious interior, dressed in leather and high-quality materials. You get BMW's iDrive infotainment system complete with gesture control. By using a 3D sensor, it allows you to operate it at the swipe of a hand or the pinching of fingers.A long wheelbase version can be opted for, called the 740Le, if you want for limo levels of space in the back. It extends the wheelbase by 140mm. 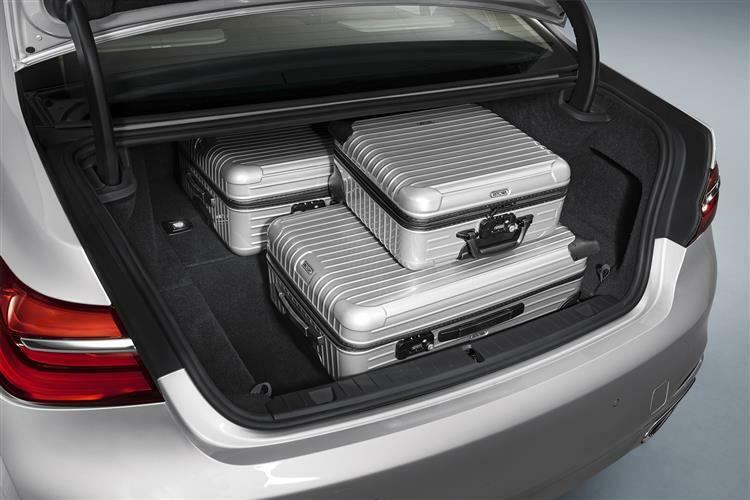 The bootspace figure falls from the 515-litre capacity you'd get in an ordinary 7 Series to 420-litres. 740e pricing starts at just under £70,000, so you're looking at a premium of around £4,000 over a conventional diesel 730d. The long wheelbase 4WD 740Le costs around £75,000 and both variants are available in either Exclusive or M Sport trim. At first glance then, you might think that you'll have to cover quite a few miles to make the fuel savings stack up against the increased purchase prices. However, Company car users will quickly make that back, with the 740e and 740Le falling into the 5% benefit in kind tax band. Standard equipment is no different to the ordinary petrol and diesel 7 Series variants, so you get four-zone automatic air conditioning, BMW's unique display key, cruise control with brake assist, a DAB radio, heated seats, 'BMW Professional' sat nav, enhanced Bluetooth, parking sensors and a 10.25" colour infotainment dash display. The 740Le adds an electric sunroof and a rear roller blind. Adding flexibility to charging your plug-in model, BMW offers a charging device called a wall box, which can be installed at home or at work, to reduce charging time. Alternatively, you can simply plug your 740e into a domestic wall socket. 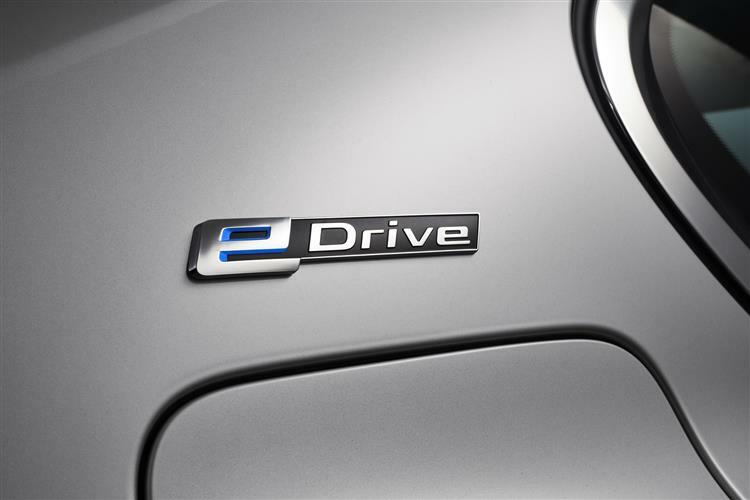 BMW's ConnectedDrive app will help you find where the nearest charging points are when you are out and about. Due to the small twin turbocharged petrol/electric hybrid engine, the 740e produces impressive economy figures, with BMW claiming a combined cycle return of 134.5mpg. Coupled with this, is CO2 emissions of just 49g/km. Upgrade to the 740Le with its longer wheelbase and all-wheel traction and those figures change to 113mpg and 56g/km, which in the grand scheme remains mightily impressive. Both models qualify for the 5% company car tax band. All BMW's come with a three-year unlimited mileage warranty. However, high voltage batteries get an eight-year 100,000-mile warranty. Insurance grouping for the 740e is group 47, with the 740Le one group higher. Residuals should be quite strong, the 740e likely to retain 42% of its value after three years. BMW has learnt from its exploits with the i3 electric hatchback and i8 electric supercar to bring its knowledge of plug-in hybrid technology to its mainstream cars. 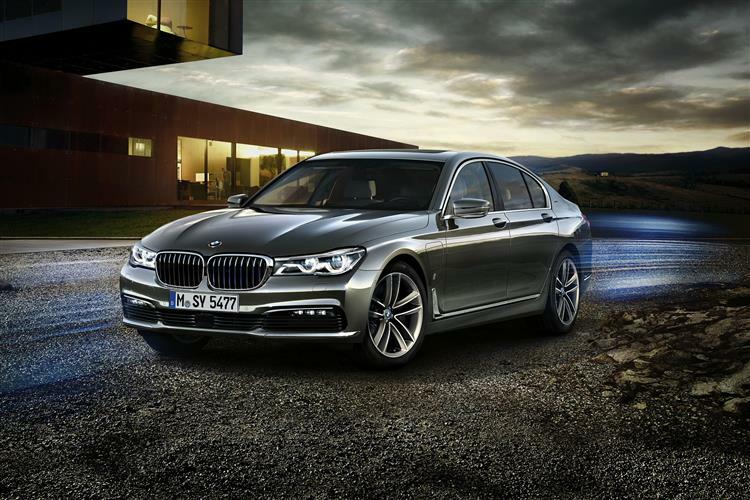 The 7 Series may not be the first in this segment to get plug-in technology but it certainly now sets the standard as far as this approach is concerned. That combination of 326bhp performance and 134mpg economy is certainly a tempting one. Plus the 740e's ability to run on battery power alone for decent commuting distances means that many owners will be able to drive to work, recharge at there, then drive home without using any petrol, all in the lap of luxury. It's a compelling thought.